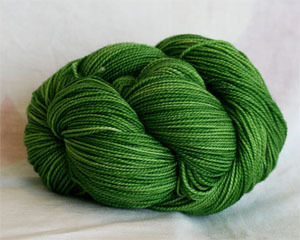 Amazing, stunning leaf - a new color for 2013, was a followup to Tosh's ever popular jade. This has a bit more brightness, a bit more, well, leaf-i-ness. You get the picture! Stunning in silk, where it reflects the light beautifully.